The common layman's term for hasma is snow jelly. Some referred to it simply as "winter frog". In Chinese herbal medicine, hasma is reported to be good for improving production of red blood cells and to stimulate brain growth. 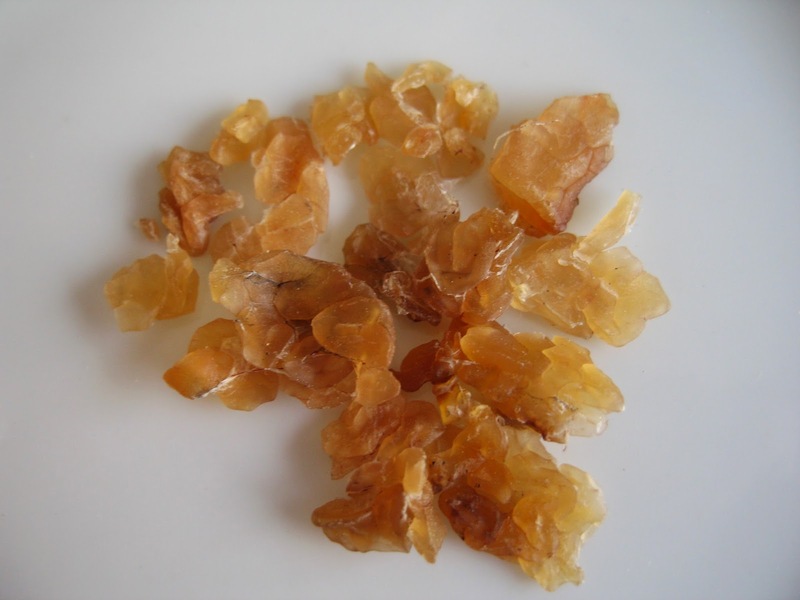 The Chinese believes that it is good for the lungs and thus helps to curb coughing. Some believe that regular consumption of hasma improves skin complexion. Generally, it is believed to be a good natural tonic for overall wellness. A friendly shop proprietor who sells Chinese herbs once taught me to add a small piece of fresh orange peel to enhance the flavour of double-boiled hasma. The citrus flavour from the orange peel helps to expel the fishy smell. 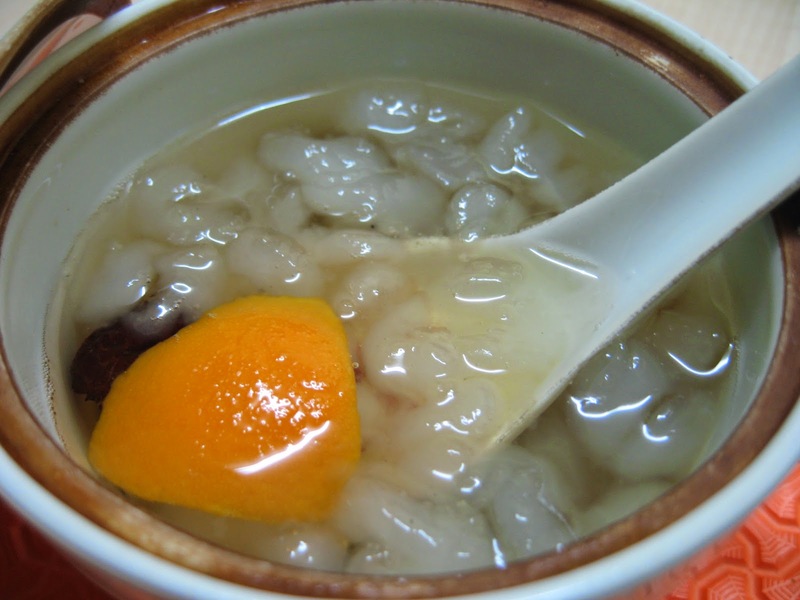 Combined with American ginseng, rock sugar and pitted red dates, a very delicious and nutritious dessert is made. 2g dried hasma, soaked until soft and gelatinous. 1. 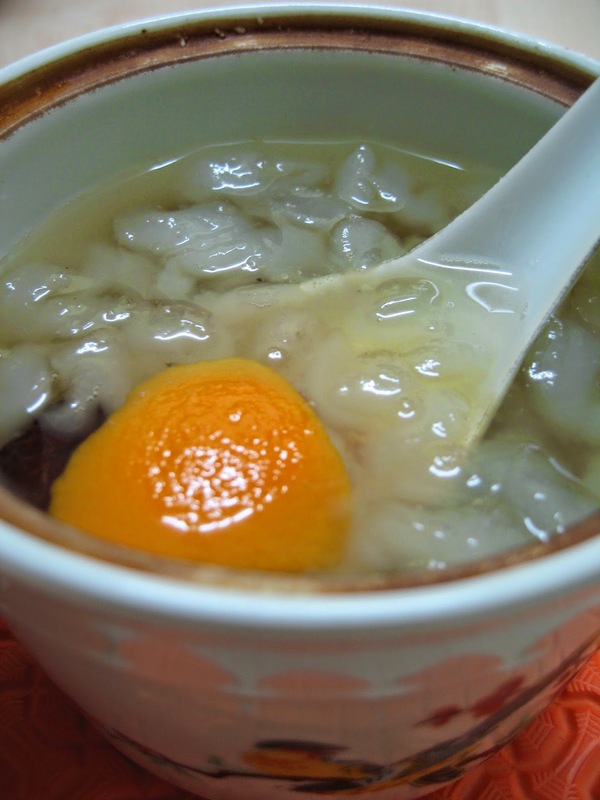 Place American ginseng, fresh orange peel, red dates and rock sugar into a small porcelain container with a fitting lid. 2. Pour in 150ml to 200ml water. 3. Double boil or steam for 1 1/2 to 2 hours. Could it be because he knows that it is frog?